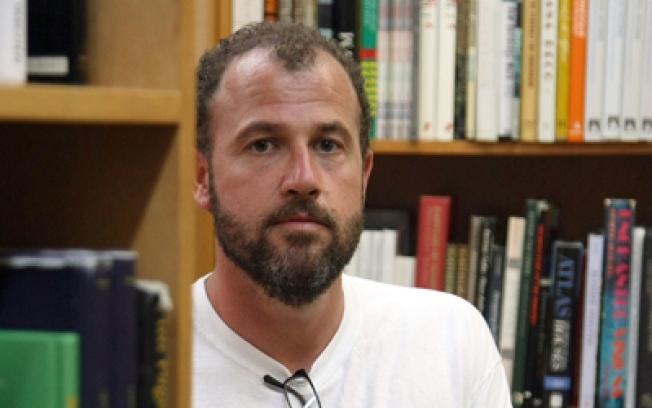 Author James Frey is writing the third book of the Bible. For serious. James Frey hates Christmas! His next book will be the "theoretical third book of the Bible," about the scribe's "idea of what the Messiah would be like if he were walking the streets of New York today." Spoiler alert: Jebus is now all for gay marriage and abortion. Oh, James Frey. Some people just love the abuse. The MTA says slapping ads all over subway windows has nothing to do with filling its coffers. Well, actually they said "advertising revenue is not the main motivation for the program," but, you know, six of one. Gossip Girlturns all of Cooble Hill into a set. Locavore movement: Not yet dead! Cozy café/resto Ortine opens today in Prospect Heights, plans to serve a whole lot of local stuff. Big questions of our time: When the New Yorker prints the word '4ever,' is it pastiche or satire? Surprising exactly no-one, Time names Barack Obama Person of the Year. Cost of the Wall Street meltdown: eleventy squillion dollars. Wall Street meltdown reimagined as a Las Vegas attraction: priceless. ...& ICYMI: Brooklyn Santa busted by a traffic agent whose heart is two sizes two small.